SINGLE GRAIN CASE STUDY: This is a guest post from Bastian Ernst of Wild Audience. 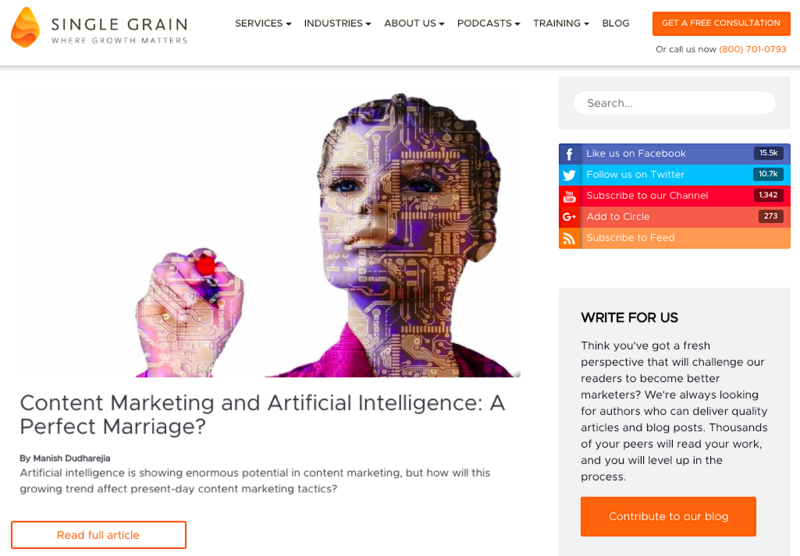 Bastian approached us, wanting to write a case study on Single Grain’s growth through content marketing. He researched the company, read our content, interviewed Eric, checked out our marketing funnels, and came up with this incredibly comprehensive growth study. 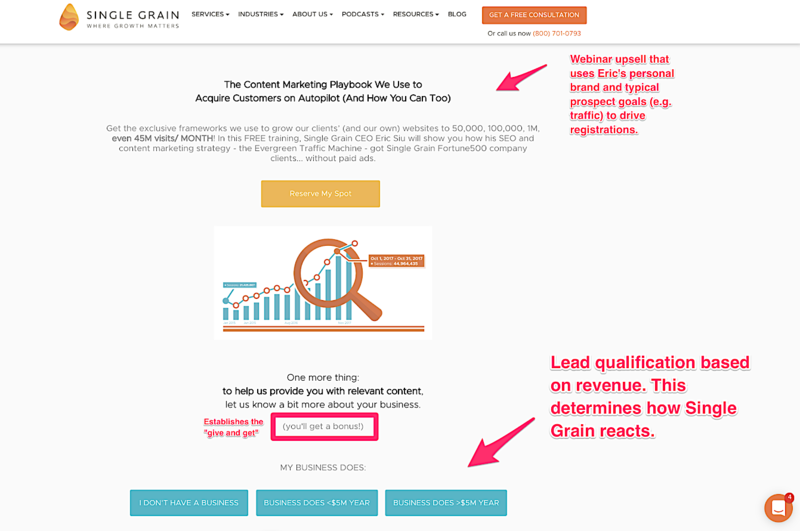 This article is for agency owners and marketing managers who want to discover the exact content marketing system Single Grain used to build their business from top to bottom. This system directly led to the following results: working with Fortune 500 Companies like Uber and Airbnb, generating 7 figures in revenue, and influencing marketing strategy worldwide. Sound okay to you? Awesome! Apart from organizing this article, I have never worked for or with Single Grain or Eric Siu. Eric has just been on my radar as a smart guy who would be fun to talk shop with. This is a guest post on their site, but that doesn’t change my writing approach. This article is based on an interview I had with Eric along with publicly available information and research. The interview was great. After a few minutes of talking to Eric, it was obvious why Single Grain is so successful. If you’d like to check out our conversation on what makes Single Grain tick, you can listen on the Wild Audience FM Podcast here [Part 1] and [Part 2]. Single Grain’s Overarching Marketing Strategy – We cover how Single Grain uses the exponential nature of content marketing and brand multiplicity to attract Fortune 500 clients and diversify their revenue streams. Single Grain’s Funnel Strategy Dissected – We pick apart Single Grain’s marketing and sales funnels and highlight the biggest lessons they’ve learned over the years. Your Next Steps – You’ll discover your immediate next steps for implementing Single Grain’s strategy into your own agency. 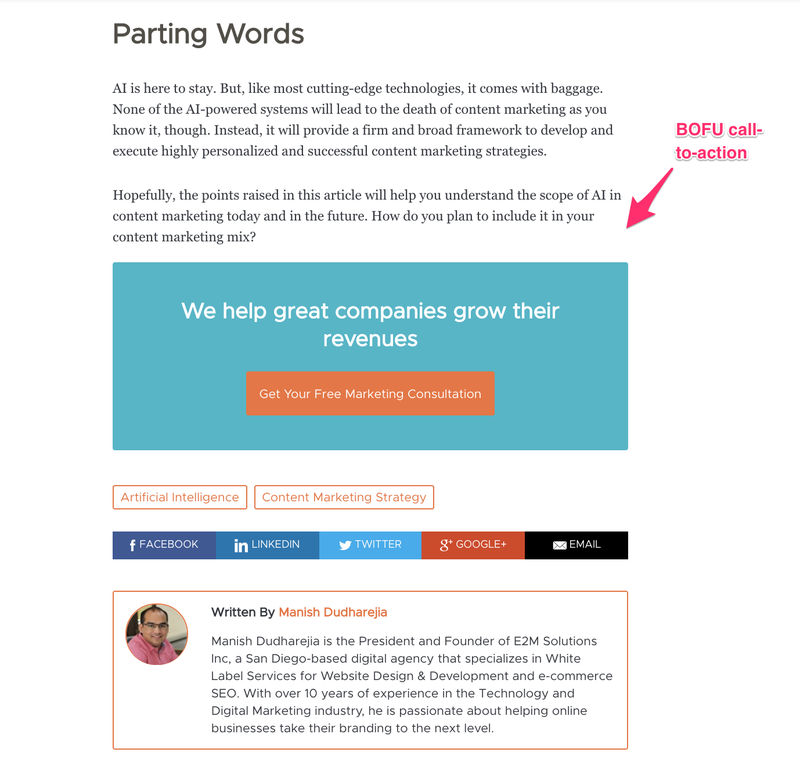 Free Bonus Download: Use this bonus blog creation checklist to scale your content marketing machine – and maximize your traffic and leads. Click here to download it for free right now! Uber. Amazon. Airbnb. What do these companies have in common? Well, apart from being household names, all of them have worked with one agency. You guessed it: Single Grain. Single Grain was on the brink of closing in 2013, but they became the powerhouse they are today because of Eric Siu. Eric bought the failing SEO agency in 2013 for two dollars. It was a “challenge” amid a partner exit crisis. Founder and chief lead source Sujan Patel was leaving, and the company wasn’t expected to last more than a few months. That was more than 5 years ago. Now they’re 30+ strong and make 7+ figures in revenue. Not a bad turnaround. Coming from the world of venture-backed startups and large corporations, Single Grain focuses on rapid acceleration via ROI-driven, experimental marketing. Sure, this isn’t a new approach to digital marketing, but being able to deliver isn’t always the issue. It’s about having a machine in place that attracts top-tier clients in the first place. Single Grain’s content marketing machine is fantastic, which is what Eric credits as their main lead generator. But they also have Eric. And Eric stays busy. 🙂 Besides working day-to-day as Single Grain’s CEO, Eric works diligently to promote his personal brand as a thought leader and speaker. He produces and hosts two podcasts, Growth Everywhere and Marketing School (co-hosted with Neil Patel), and speaks regularly at conferences. 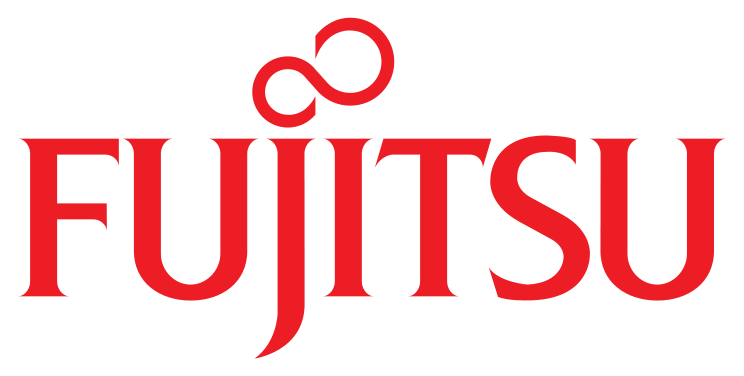 He is also piloting the recent release of his brand new SaaS product, ClickFlow – split-testing for SEO. It offers clever ways to optimize your SEO, including title swapping and matching across keyword categories. Needless to say, the guy is on top of things. Let’s cover the big picture lessons that your agency can learn from Single Grain before digging into their funnel itself. Notice that Single Grain is just one (albeit the most profitable) component of Eric Siu’s business machine. 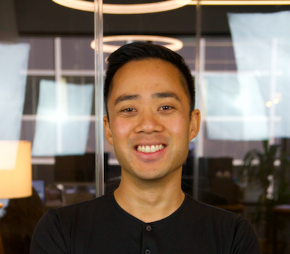 By structuring his services and products to provide value to one market (in Eric’s case, companies needing marketing support and digital marketers), he’s able to cross-pollinate across his ventures. This is known as brand multiplicity or brand stacking, and it’s the opposite of product market cannibalism. One: Eric develops a relationship via a podcasting conference with a company that needs done-for-you marketing services, and he can lead them to the Single Grain sales process. Two: If his latest Growth Everywhere podcast covers SEO split-testing, he can pitch his product. Three: If he’s working with Uber and realizes they need to do some SEO split-testing, he can suggest adding his product to their SaaS suite. See how that works? When you create a spread of valuable services across a similar topic, they all benefit from each other. An easy way to think about brand multiplicity is by taking a close look at your value ladder. How many of them directly relate and fit in with each other? Is it possible to rebrand them or adjust the content/delivery method to better complement your other services? What services or products are you currently developing? Where do they fit in? Before we dig in to what your agency can learn from Single Grain’s content marketing machine and overall funnel, let’s talk about the long-term rewards of content marketing. 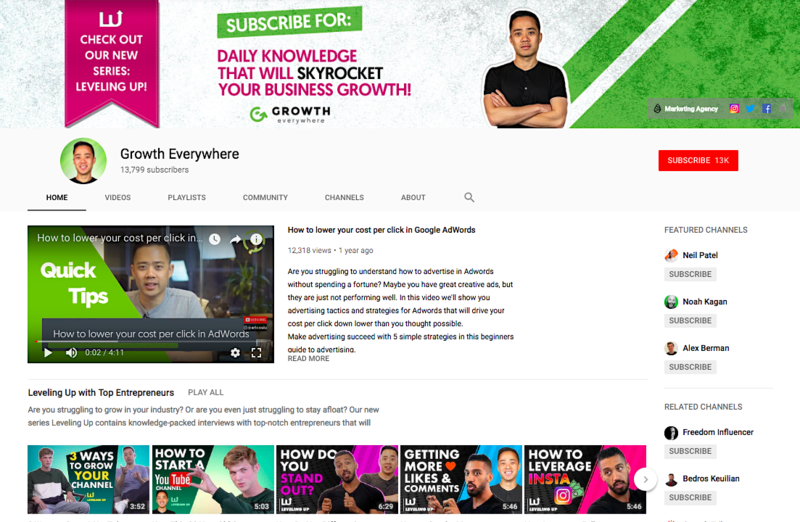 Whether you start releasing videos on YouTube, blogging on your website, or hosting a podcast, the first thing you need to know is that growth will be slow. But that’s expected — even for people with an existing audience. (Check out this article about why you should build an audience first). Most people burn out after a year, but if you are one of the few who pushes through, the eventual benefits will be a long-lasting asset for your business. If you want proof of this curve, look no further than Eric: Eric averaged 9 downloads per episode in the first year of Growth Everywhere and 30 downloads per episode in the second year. As you hone your craft, you will build yourself toward a tipping point. Once crossed, your subscribers, views, or visits will begin climbing. Then you can capitalize. Eric and his team didn’t see promising results until the third year. Nowadays, Growth Everywhere gets over 80,000 downloads per month. Keep that in mind as we start digging into the actual breakdown of Single Grain’s funnel. When building a marketing funnel, it’s helpful to split your efforts into levels or stages. This framework helps focus your effort and provides insight into bottlenecks, what type of content fits where, etc. We’re going to cover each stage of Single Grain’s funnel so you can install it in your own agency. It’s blogs. It’s podcasts. It’s billboards. It’s radio interviews. Whatever content you’re using to find new people, then it fits here. MOFU is after a prospect knows about their problem, but they’re still researching the best solutions. For example, for the problem of getting more traffic to their website, they could be torn between podcasting and blogging. Here’s another example: Someone is struggling to hire people. They are deciding between hiring a recruiter and hiring an internal HR director. Simple stuff. This is when you use your content to explain why your solution (not your company!) is the best route to take. 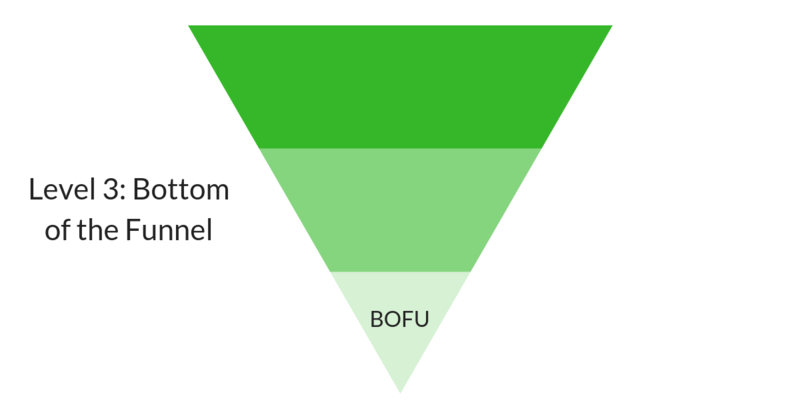 BOFU is when you make the case for your company to provide the solution they discovered in the MOFU stage. It’s also when you tell the prospect why they should work with your company instead of a competitor. Jumping to this stage too early is a common mistake in marketing, as is waiting too long to get people here. Finding that balance takes tweaking and experimentation, but the conversion rates you’ll reach are worth the effort. Note: Depending on your copy and CTA, you could make any type of content fit into any stage. Now let’s see how Single Grain uses these levels in their own agency. Single Grain splits their TOFU efforts across three major mediums: podcasting, blogging and video. Remember: TOFU content is all about building brand awareness and decreasing your cost per lead. We do this by attracting more inbound conversations. When starting a content marketing strategy, it’s useful to pick one medium and stick with it. Try them all out at first, see which ones feel the most comfortable, then go from there. Once you start to see some results, then you can consider diversifying. Single Grain now works in podcasting, blogging and video simultaneously. Eric started his podcast with no experience or audience. At the beginning, he spent six hours creating each episode. All this effort got him a grand total of 9 downloads per episode. For the first year. Eric and the Single Grain team are fantastic at batching their content efforts. Consistency is king, so you never want to be scrambling for content at the last minute. This will diminish your quality and could jeopardize your reputation. This applies to blogging and video content as well. Take Marketing School, for example. The show releases daily and runs around 5 minutes per episode. In order to handle the high frequency, they meet in an L.A. studio 1-2x a month, brainstorm 15-20 topics, and then knock them out one after the other. The same goes for Growth Everywhere. Eric is currently set all the way up to February of next year. One of the biggest mistakes you can make is advertising too soon in your podcast. You don’t want to poison advertising relationships too early or bug your subscribers too much to get advertising impressions up. You don’t have to have the best equipment to start podcasting. All you really need is something like Zoom or VCAM for interviews, a basic mic, and a tool to start your outreach with (Eric used Outreach.io). 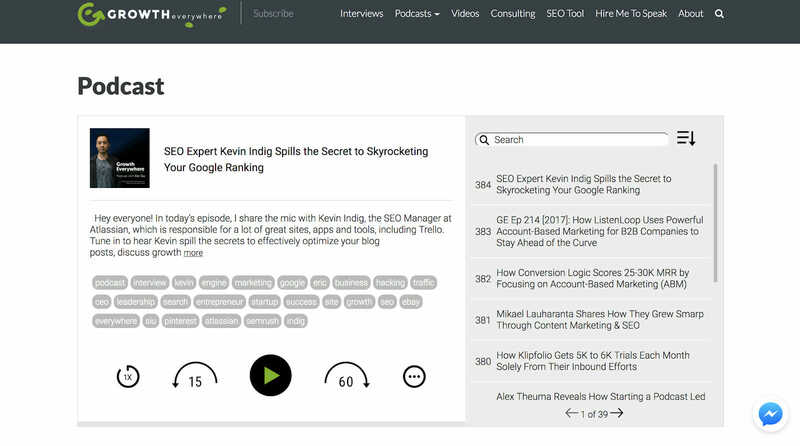 The ROI of a podcast is exposure and authority, which leads to a devoted audience. Which leads to more sales for your other businesses. Which leads to speaking gigs. And because podcasting is so intimate, it shortens the sales cycle because leads feel like they already know you. Smart business leaders recognize talent when they see it, and Single Grain uses high-quality content to demonstrate authority and expertise before a sales call ever happens. This reduces your sales cycle time and brings in higher-quality inbound leads because they already trust you. Look, the days of keyword stuffing and 300-400 word blogs are over. 🙂 There’s no point in doing this unless what you’re putting out is better than your competitors. When you have longer-form posts, you get more long-tail keyword traffic. This gives you more domain authority and pushes your rankings higher and higher. Single Grain aims for 1,500-2,000 words per blog. Minimum. If you’re serious about competing, you need to develop a strategy, do your keyword research, and write better content around it. It’s simple, but that doesn’t make it easy. Take a look at how Single Grain organizes their blog. They use a combination of in-depth guest posts (*cough cough*) and collaborative pieces to rank for the exact keywords they want to. Their blog is well-designed, and they are always testing new headlines and content upgrades/lead magnets. Writing, editing and promoting are each separate positions in an active and effective content marketing machine. If you want to expedite your results and you have the capital to do so, consider investing in a team and building up those processes earlier on. This isn’t a requirement, though. Eric started on his own, and there is a lot to be learned from sucking it up and doing it yourself. Once you see traction, you can start to delegate. Blogging is dramatically less effective without keyword research. It doesn’t matter how good of an article you write; if people won’t see it then it’s pointless. Find out what your competitors are up to, see which keywords you could write better content for, and get to it. This is more important once you have a team behind you, but you should use a blogging checklist to ensure that everything you release is optimized. This should include steps covering content, SEO, and how it fits into your funnel. Once you have a devoted audience of readers, you can lighten the content burden by featuring other writers you trust. 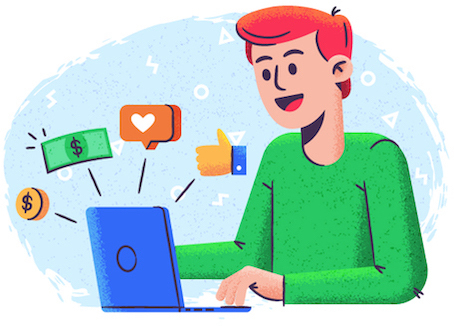 They get exposure, a strong backlink, and sometimes payment, while you get content that is interesting to your audience and gives you a bit of a break. A success gap is the knowledge and tools your ideal customer needs to be successful. Just because something isn’t directly related to your product doesn’t mean it’s not worth talking about. For Single Grain, talking about sales is important because their customers care about sales. It’s not marketing, but this widening of the net is a great way to pull in more traffic after you’ve become an authority in your niche. By utilizing batching, Eric is able to spend the same amount of time producing new content while growing an entirely new channel. This taps in to the idea of content multiplicity. So getting your brand in front of someone is one thing, but getting them to give you an email address or hop on a call is another. TOFU content is only the first piece of the puzzle. What goes on behind the scenes is also important to create and test. Here’s the deal. Emails lose value if you aren’t consistently engaging with them — especially at the beginning of a relationship. 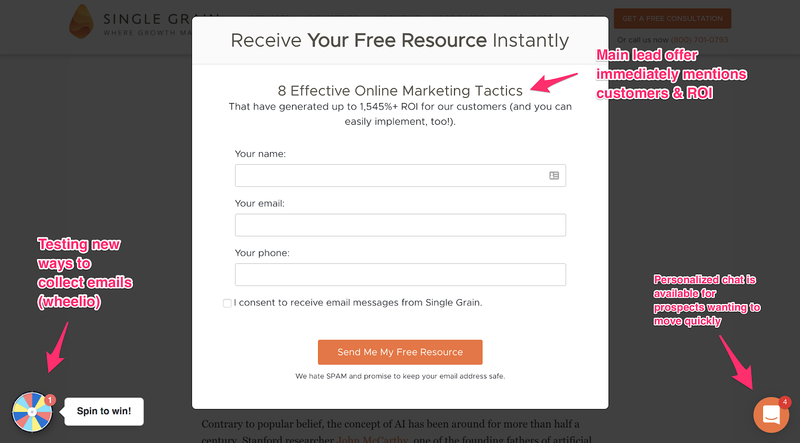 Single Grain has landed on an interesting approach: enroll leads in a 52-week email Drip.co automation. An entire year’s worth of educational material. For Eric and his team, they decided they were spending too much time on MOFU personalization and decided to put most of their efforts into TOFU. Sure, having more personalized MOFU content could increase conversion rates, but running an agency is all about prioritizing efforts. To make the MOFU burden lighter, Single Grain created one funnel that drips evergreen content and CTAs for an entire year. They built it by reusing their best blogs and podcasts, and they pair the emails with an RSS feed that sends the latest blogs, news, etc. to keep things fresh. Single Grain used to match individual lead magnets to blogs and tweak their email sequences to better fit customer segments, but they’ve left this approach for something more manageable: a one-size-fits-all approach to email signatures and lead magnet offers. This is the default sign-up box on their blog. They only have a few of these and swap them out according to the general topic (SEO, blogging, etc.). So instead of matching a lead magnet to each blog specifically, they have a few strong, broad lead magnets. 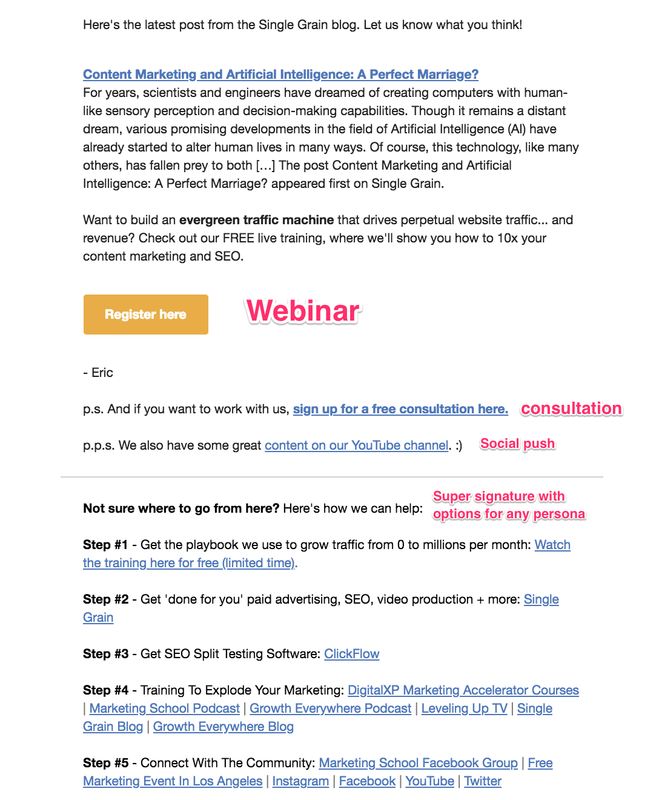 Their webinar pitch is short and sweet and relies on Eric’s personal brand, and they tease a bonus for segmenting themselves. Once you choose your persona, you’re directed to a bonus page that encourages you to share one of their TOFU pieces. Then the lead receives the bonus in an email and is enrolled into their automation system. This is the same automation mentioned above, and these emails always include what Eric calls a “super signature”. 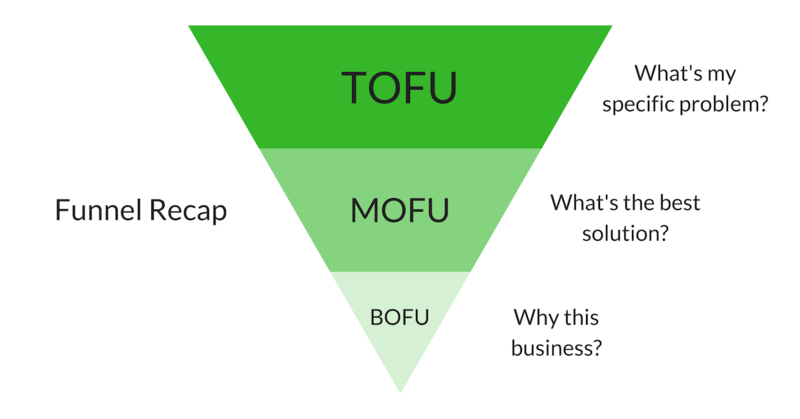 Single Grain saw that qualified leads were getting stuck in the “give” part of the TOFU funnel, and they decided to allow people to move at their own pace. Take some time to look over your own email funnel and see if anyone could be caught in content purgatory. One type of advertising that Single Grain uses in both MOFU and BOFU circumstances are RLSAs (Remarketing Lists for Search Ads), and Eric credits them for a lot of Single Grain’s leads. The idea is simpler than it sounds: when someone reads or visits the Single Grain site and then searches for a particular keyword later on, Single Grain displays an ad. If someone on your site reads a blog about SEO and then Googles “seo consultancy”, you want to be in those results. Single Grain and their surrounding businesses currently get around 140,000 visits per month. That’s a lot of traffic to pixel and retarget to! 🙂 If Single Grain were to pay for their traffic on an annual basis, it would cost $4.5 million dollars. Probably more, but that’s the power of organic content. 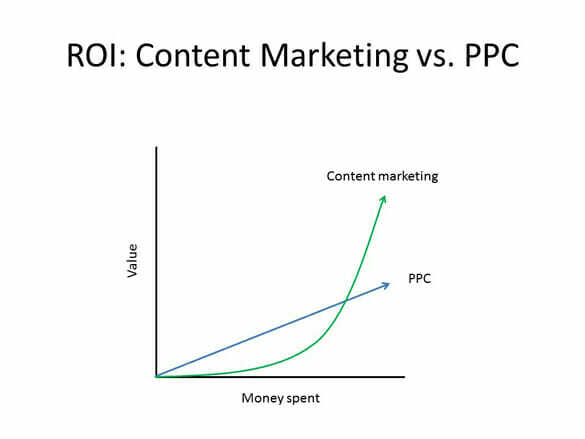 It gives you leverage and you don’t have to rely strictly on PPC — instead, it empowers PPC. In other words, content marketing “lifts the entire boat.” It helps you build email lists for cheap and your CPA goes down because people already know who you are. By combining their TOFU content’s traffic and PPC, Single Grain is able to collect email addresses as low as $1-$2 a pop. That’s a heck of a tool for your agency to develop. For Single Grain, most of the work is done for them at this point because they often include BOFU content all around the site. They are always offering their free consultation, pitching their SaaS product, offering next steps in their super signatures, etc. All of their sales conversations are inbound. Single Grain reps never cold-call people, ever. If a prospect wants done-for-you services, they just fill out a qualifying form and one of the sales people will call, discuss the project, qualify the lead, have a proposal conversation if needed, and then go from there. They have account executives who specialize in closing and sales account representatives who only conduct discovery/qualifying calls. They use Zapier to push inbound notifications to Slack, their CRM (Base), a Google Sheet, a text and an email to Eric. This saves them a bunch of time and lets them reach out immediately. The beauty of their system is that Single Grain can upsell or downsell depending on the user, and they have a variety of bundles at different price points — even offering their courses a la carte. 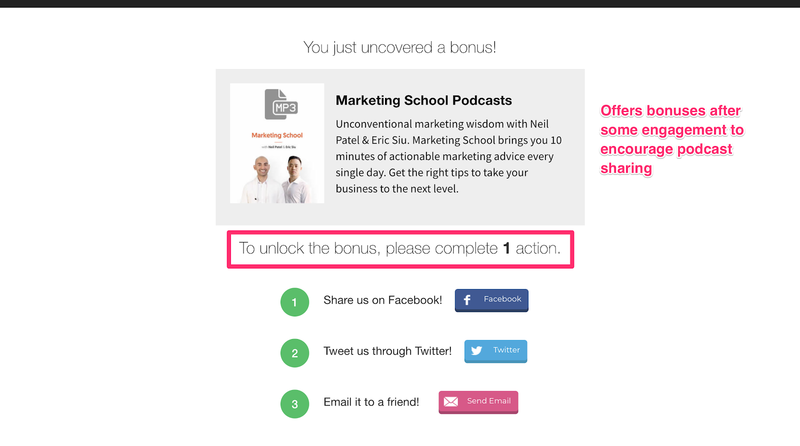 So what do you get for all of this work – writing blogs, starting podcasts, building amazing lead magnets? Why go through the trouble? What’s the prize? This will get the TOFU thought process started, and you can also start brainstorming ideas for other mediums. Review all your content marketing efforts and double down on what you do best. Standardize and batch to maintain consistency. 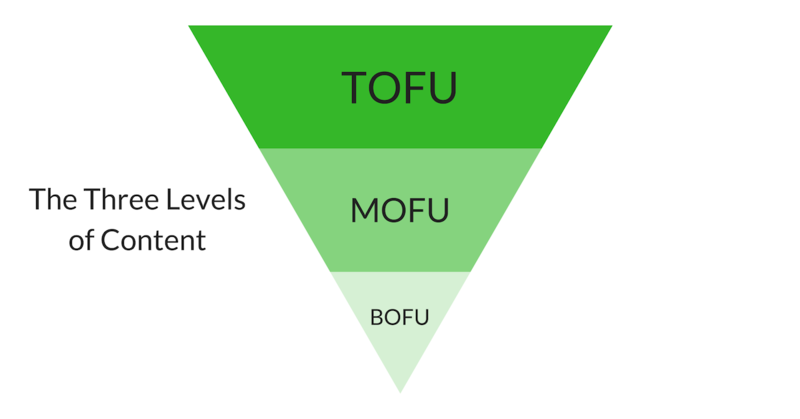 Focus your efforts on TOFU. Incorporate retargeting into your content machine. Try creating a few really great lead magnets and one awesome email automation. Did you dig this article? Check out our 8 step guide on how to build the best sales funnel ever. Hi, I'm Bastián! At Wild Audience we believe that faster growth starts with automating relationships. And that is why we help 6- and 7-figure entrepreneurs automate their processes to accelerate growth through Respect-Based Marketing.